1. 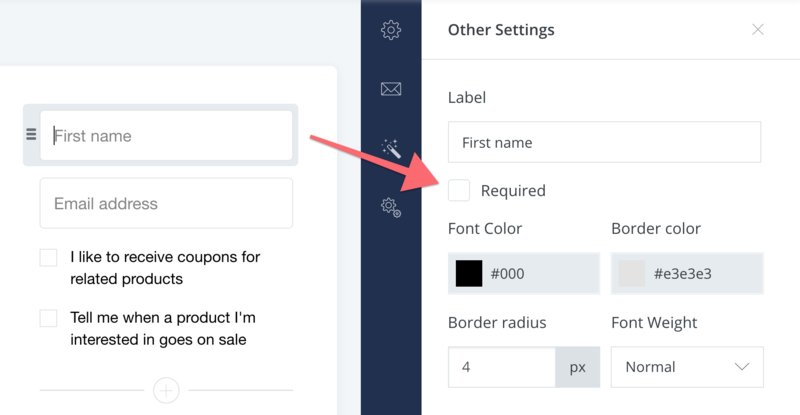 Click on the first name field and make sure it's not required (uncheck the required box). 2. 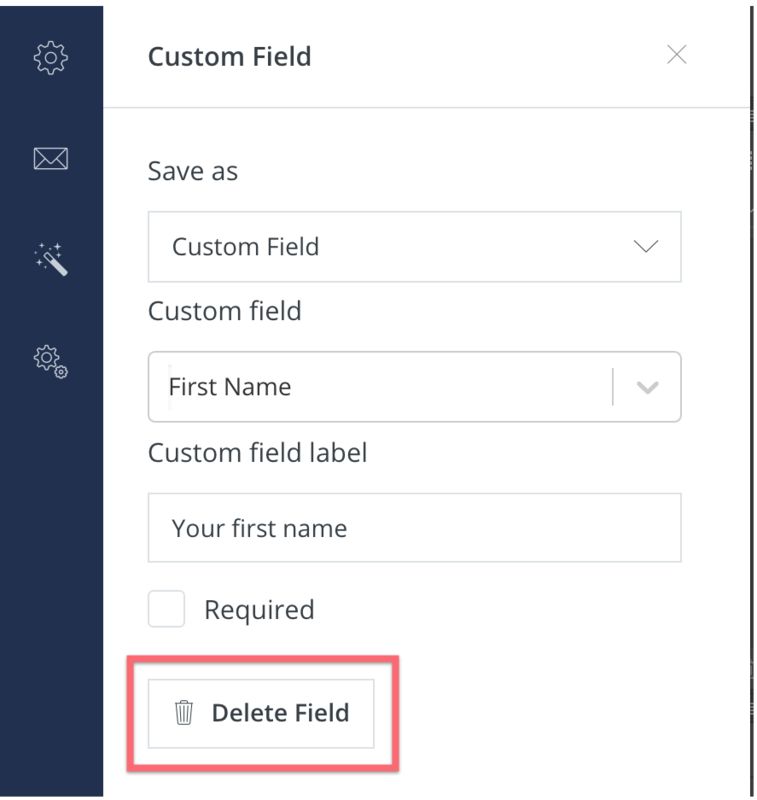 Select Delete Field to remove the field from your Form. That code can go under the style settings for each Form. 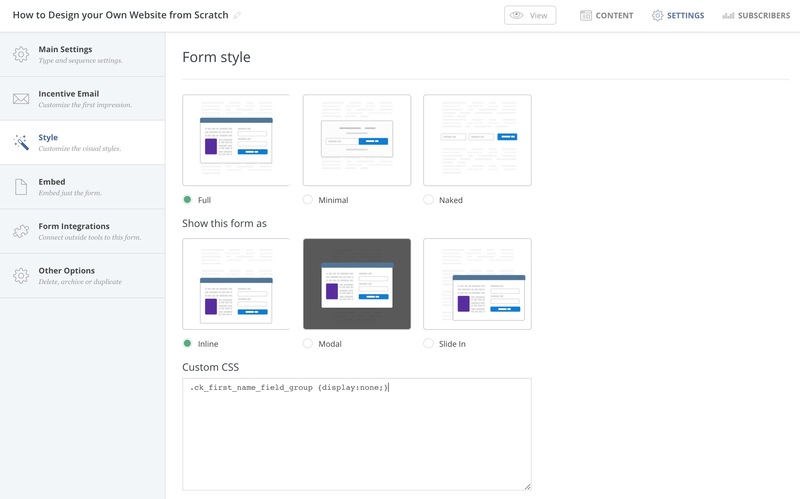 Or, if you wanted it to apply to every Form on your entire site you could add it to your main site stylesheet!